Tilting drawers are designed to be used on high reach applications where the operator cannot reach it safely. These are usually specified in fire or military vehicles where high level stowage of equipment is standard. This is a very flexible product which can be cut to length by the customer or supplied factory ready. Sliding System's award winning slide and tilt system sets the standard for flexible and modular slide out and tip down drawers used in fire and rescue vehicles and other similar applications. Where a high reach drawer is difficult to access, this system can tip down towards the user. 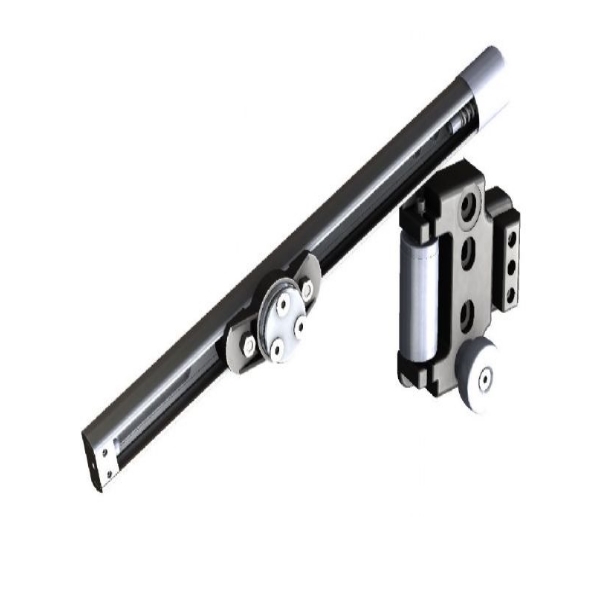 The Slide & Tilt is sold as a complete LH & RH system with all components fitted drilled ready for use. Our Front Handle Lock is designed to secure the drawer when in the closed position (drawer or handle lock not included).. Sliding System's award winning slide and tilt system sets the standard for flexible and modular slide out and tip down drawers used in fire and rescue vehicles and other similar applications. Where a high reach drawer is difficult to access, this system can tip down towards the user. The Slide & Tilt is sold as a complete LH & RH system with all components fitted drilled ready for use. Our Front Handle Lock is designed to secure the drawer when in the closed position (drawer or handle lock not included). Used in conjunction with front access push button Handle Locks, the system is designed to maximise the operator's safe control of a heavy tip-down drawer, providing safe access to equipment stowed in drawers at chest height and above. Tested to 90kg, the system generally works to Health & Safety guidelines of 35kg per drawer for a one man operation. 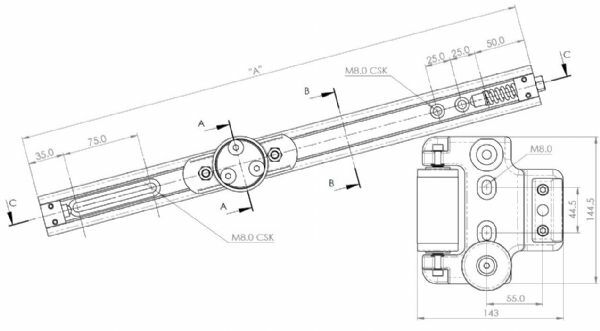 Available in drawer depths to 2,000mm, we can confidently supply any length with machined rails on very short lead times. For the fire truck builder we can now offer a complete vehicle stowage package comprising of heavy generator withdrawal, locker drawers (even bi-directional), tilting drawers and positive locking systems to secure them - All from one source.